We are a professional piano movers company in Dublin with many years of experience. Whether the piano moves from house to house, or upstairs in North Dublin, or the piano is needed to move in apartments in South Dublin, our piano movers cover it smoothly. Our moving team includes professional piano movers, who can handle hardest piano moves. To make delivery or removal safe, we have special moving blankets to cover your piano during transportation, trolleys to transport large pianos to the van, ramp to make moving easier and, of course, all the straps, all this piano moving equipment helps us to move piano safely. We know it’s not a small or trivial task to move your piano. That’s why we take pride in what we do. Our highly trained man with a van professional carefully plans every piano move so that you have the comfort and peace of mind that your piano is in good hands. From the first email or phone call, we promise to give our customers the best piano moving service at the time your piano is delivered at its final destination. ManVan is a professional, reliable company, but above all, it places customer satisfaction first! 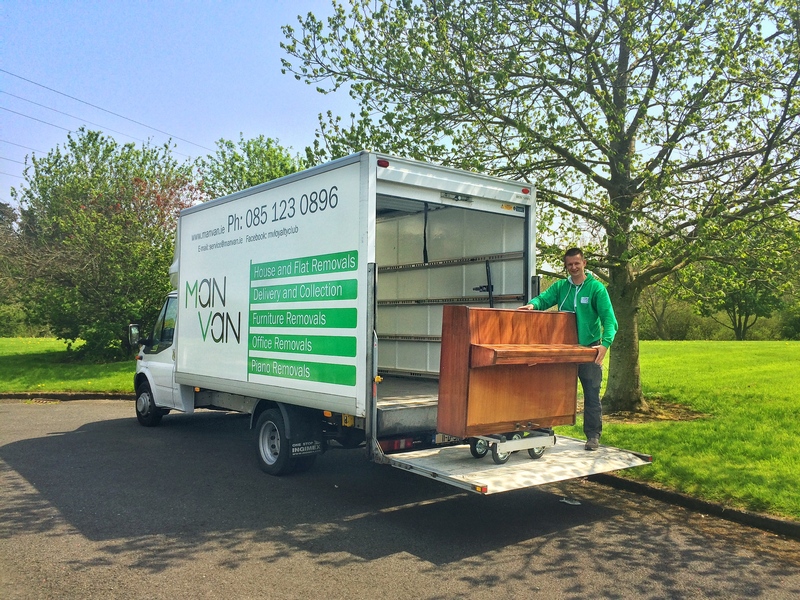 Here at ManVan we trying to be not only Man with a van company but a reliable partner for your safe piano move. Pianos are heavy, but also very delicate instruments and require extreme care to continue making beautiful music for years to come. You should hire an experienced mover to ensure the safety of your device during the relocation. Find near you the best professional piano movers!